Liverpool right-back Trent Alexander-Arnold has been included in Aidy Boothroyd’s England U21s squad for next month’s U21 Euro qualifiers. 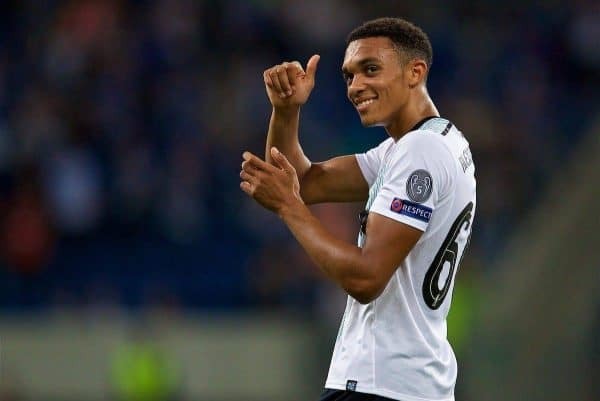 The 18-year-old has risen to prominence under Jurgen Klopp over the past year, and this has been reflected in his rise through the youth international ranks. After being left out of the England U19s squad for the summer’s European Championship in Georgia in order to focus on pre-season with the Reds, he has been called up to the U21s setup. The Young Lions will take on the Netherlands (September 1) and Latvia (September 5) as they look to book their place in Italy and San Marino in 2019. Joe Gomez and Dominic Solanke have also made Boothroyd’s 24-man squad, ensuring a strong Liverpool contingent. Solanke was part of the England U20s squad to win the World Cup in South Korea this summer, winning the Golden Ball as the standout player of the tournament. The 19-year-old struck four times, as England’s top goalscorer, ahead of his free transfer from Chelsea to Liverpool, showcasing his all-round talent in Paul Simpson’s forward line. Both Solanke and Gomez will now be looking to push on as part of the U21s squad, to build on a positive start to the season with Liverpool. Liverpool have another representative at England youth level next month, with Rhian Brewster included in Steve Cooper’s U18s squad. The young striker has recently returned from injury, and scored in the Reds U23s’ 3-0 win at home to Sunderland on Sunday afternoon, continuing his fine run of form. The U18s selection will play Brazil (September 1) and South Africa (September 4) as they prepare for October’s U17 World Cup in India. 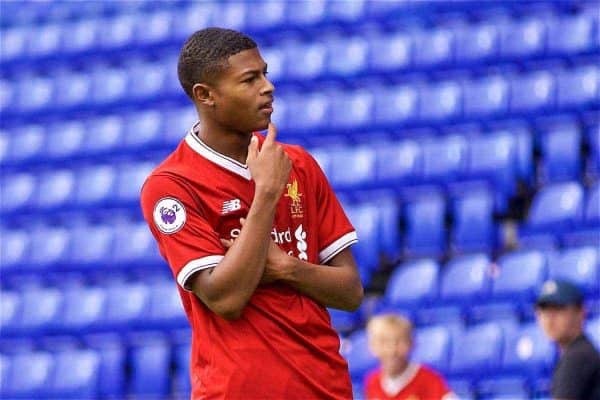 Brewster, who only turned 17 in April, is set to establish himself as Neil Critchley‘s leading No. 9 in 2017/18, having made great strides at Kirkby over the past 12 months.